Jehovah-Rohi: God our Shepherd goes before us to lead us and protect us from all attacks of the enemy. [Ps. 23:1] We ask Father God that You will cover the United Kingdom with Your precious blood so that each one of us is kept safe under the blood of Your Son Jesus Christ. Jehovah-Jireh: The Lord our Provider has given us this day our daily bread and has met all our needs.(Ps. 23:1,Mat. 6: 11). We praise and thank you for the reports just published about the NHS that confirms that You have guided the NHS through the holiday season providing beds for all those who fell ill during this time. We continue to ask You Father God to provide for the NHS during the rest of the winter when the need for beds is very high. Jehovah-Shalom: God our Peace makes us lie down in green pastures leading us beside quiet waters. 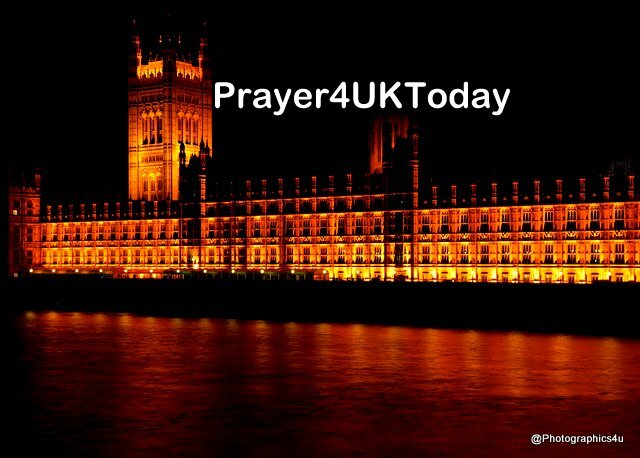 Father God we pray for Your Shalom Peace as we prepare for a no-deal Brexit calming all fear, doubt, worry, inadequacy, and anxiety in people’s hearts. We pray that You will stop the work of the enemy trying to bring project fear to stop our move away from the EU. THANK YOU HOLY SPIRIT FOR ANSWERING ALL OUR PRAYERS.